CBD Oil Review rates Holy Grail CBD with three stars because it qualifies for the Quality, Mission & Innovation Badges. Cleanse. Nourish. Revive. These are the health-boosting aims of Holy Grail CBD, a company committed to science and sourcing that targets the energy, beauty, and wellness sectors within the CBD industry. For the most part, they are on top of their testing and post independent results for most of their SKUs. 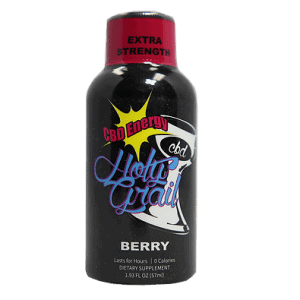 Holy Grail CBD produces their own product lines and sell other brands on their website as well. The majority of their offerings are quality, but we are a bit confused as to their methodology when it comes to selling brands that compete directly with specific products. Holy Grail CBD uses sustainably sourced hemp grown in different microclimates on family farms around the world. Their claim to fame was developing the first legal CBD vape product and device in the industry, and they continue to create exciting products made from premium industrial hemp. Holy Grail CBD states they are committed to science and sourcing, partnering with state-of-the-art labs and production facilities to develop their brands. What’s somewhat vague is the relationship between Holy Grail CBD and the other brands they sell. While a couple appear to be completely independent companies, we are unsure of which brands (if any) actually fall under the auspices of Holy Grail CBD. They claim to use unique compounds developed by their parent company that contain exceedingly high CBD levels, but again, who this organization is remains unclear. Holy Grail CBD has a sweeping product line with standard offerings like CBD topical salve, CBD capsules, CBD tinctures and sprays, and CBD dabs. Their CBD edible line features proprietary energy chews and delicious toffee made by a third-party chocolatier. They manufacture Holy Water, an alkaline super hydrator that undergoes a seven-step reverse osmosis process with 2.5 mg of nano-CBD per bottle. It doesn’t get much better than alkaline CBD water. Unfortunately, we cannot issue Holy Grail CBD the Safety Badge, as there are not readily available test results for each SKU. Another factor in our decision is the use of questionable ingredients. Their energy chews contain both artificial colors and flavors, and the energy shots contain sodium benzoate, a common ingredient in soda that has been linked to health risks. More and more CBD companies are selling products made by third-party vendors online, and we get it. It’s usually meant to fill the void where a company doesn’t produce to accommodate customer needs. 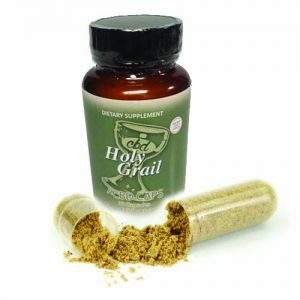 What’s peculiar about Holy Grail CBD is that they currently sell different brands that produce the same products they do, namely tinctures, capsules, and CBD water. While these outside brands could be a part of the Holy Grail CBD family of companies, there’s a lack of clarity about these relationships. And if you are producing a killer product, why would you sell a competitor’s option alongside it? 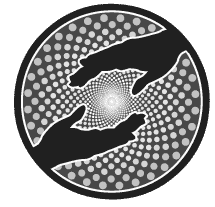 Bottom Line – Holy Grail CBD sells quality CBD products and posts most of their lab results online. Their product line is extensive and includes a range of offerings made by both Holy Grail CBD and other brands. Holy Grail CBD sustainably sources industrial hemp processed via supercritical CO2 extraction. Holy Grail CBD’s goal is to establish a solid foundation of full spectrum products through a commitment to science and sourcing. Holy Grail CBD produced the first legal CBD vape product in the industry. I’ve been using their CBD with peppermint oil for about 4 months. I got it for my IBS, and it’s helped some with that. What I notice the most is that it really helps when I get the shakes from my asthma medication.This is my first time trying CBD oil. I’ve tried other hemp skin care products and broke out in a horrible rash every time no matter the brand. I was nervous trying this, but so far so good.